The album artwork has not been included in this post for reasons relating to its stupidity and shortage of “art”. My first impression of this album came from “Don’t Sit Down ‘Cause I’ve Moved Your Chair” which is highlighted by the idiodicy of the title that is very deliberately annunciated throughout the track. Following up from “Humbug” which was my least favourite album which Alex Turner was involved in writing, not to suggest that the album was poor, just that it didn’t strike me as his other works had. “She’s Thunderstorms” continues this this annoyance relating to lyrics which seem lacking in direction yet appear be emphasised through the vocal with “She’s Thunderstorms” almost being looped. The song is a gentle way to open the album with strong connections to Last Shaddow Puppets sound coming through and this all seems to be a little blurred where one band starts and the other ends. This is not how I would ever have picture the Monkeys opening an album pre LSP however it’s a nice track. The concept is quite simple, but the execution is very elegant. I can’t say that I know what a “Black Treacle” is and I refuse to waste thirty seconds googling either (maybe I did). This is a song that has grown on me a little, but it just seems to drag with no visible sentiment or emotion being involked. The guitar work seems bland and the drumming took the day off during recording on that day. “Brick by Brick” finally starts talking some sense to me. The tempo changes through the song and the drums actually make a contribution. There is finally a sense that the music is challenging my ear and the boys finally introduce us to a fun 70’s inspired and interesting song. There is a strong QOTSA vibe that grows the more that you listen to this track, especially in the deep backing vocal used. “The Hellcat Spangled Shalalala” once again confuses the borders of Monkeys and Last Shaddow Puppets while reintroducing us to some checky little bass work and more meaningful drumming although the song does get a little lost in the middle. It displays the best song writing of any track on the album with Turner using several different vocal techniques through the song to entice us to sing along and support from some percussion which has been well thought out. This is followed by the most drab and boring song on the album which I would prefer it if it didn’t draw any further attention from this review. “Don’t Sit Down ‘Cause I’ve Moved Your Chair”, sorry but I must reinterate that this is probably one of the oddest track names/lyrics used in recent times. It’s really hard for me to get past the vocal on this song and I have really tried and for a band who were lyrically one of the absolute best through “Whatever People Say” and “Favourite Worst Nightmare” with tracks like “Yellow Bricks” and “Mardy Bum”, take your pick basically. This is an ok song musically it’s just too distracting lyrically and vocally it is dull. “Library Pictures’ takes us on a journey back to where I remember these chaps residing back in 2006. There is a real bleakness to the song and the guitars are alive for the first time on the album, however the countdown in the song should never have been allowed. The song is short and sharp yet suceeds in delivering a strong message. “Reckless Serenade” and “All My Own Stunts” fail to introduce anything new or exciting and I am just left waiting for something to happen and by this stage songs are starting to all feel the same, with the exception of “Piledriver Waltz” I am left looking for something to grab hold of but am finding myself cluthing at thin air. There is just too much emphasis on the vocal and it is not doing anything for me. Personally many of my favourite Monkeys songs were the ones with big, juicy bass riffs and drumming that had me bashing my stearing wheel out of shape. 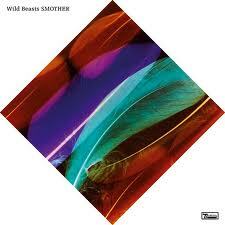 There are no film clips centred on drumming (The View From The Afternoon) coming from this album. I have read through NME’s review to see if maybe I was a little harsh and to be honest it was a rather pompous in it’s attempt to tell me that I was not sophisticated enough to appreciate the sound or the use of big words like “paean” to try and make feel little. I shouldn’t need a thesaurus and the song lyrics printed out to understand the intensions of the song writer. I honestly don’t know the lyrics to many of my favourite artists well known tracks yet I can get what the song is about and I don’t get that here or from NME. What I don’t like about this album and “Humbug” is that they have extracted the edge from the soul of the vocal by slowing it down. There is enough song writing ability in Turner’s big toe to sink five ships to make it work on the odd occasion however without an understanding of what made them the voice of a large portion of young males with their witty lyrics and edgy tones. 2011 Arctic Monkeys would never write a song about fake tales or vampires in bars and it is that raw emotion which is missing and also what made them what they were (others may argue: are). If I am feeling nostalgic in a pub in ten years time and put a few dollars in the jukebox, I highly doubt that any of these songs would get selected over any song off the first two albums. If you like the clip I have added then you will probably disagree with me. 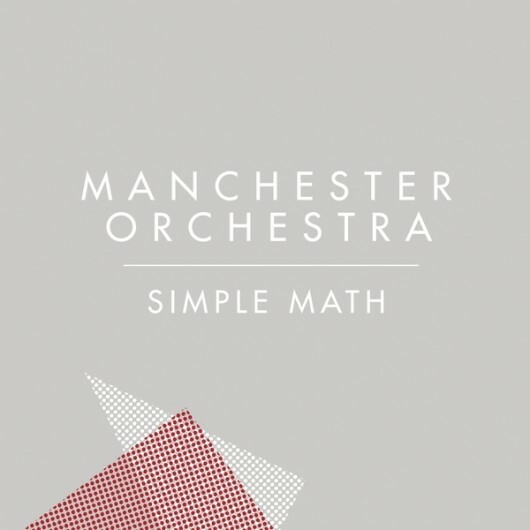 Following up from what an album which was full of angst and could have taught those Emo kids a thing or two about being Emo, The Orchestra are back with their new album “Simple Math”. Despite “Mean Everything to Nothing” bearly making a blip on the radar, these young guys from Georgia have big things waiting for them on the horizon. “Deer” takes the kick-off an immediately takes control of possess with a gentle, country inspired acoustic track which really eases you into the album. It is an unusual way to start the album especially given way that the song conflicts against the introduction of “Mighty”. Having said that as I have listened to the album more it has really grown on me. “Mighty” starts with what can only be considered a cheesy 80s rock intro however as the song progresses it feels as though it is aiming for a stadium rock sound. The vocal takes some getting used to, it is a little clunky in some ways. The bridge feels a little flat and predictable at first however after a while the construction of the song begins to make sense. The chorus really saves the song which otherwise would be a forgettable song and this fact really is testament to the dedication of the song writing. By the time the album reaches “Pensacola” I am a little confused about the varying tracks and how they are intended to fit together. The lead in to this song is horribly predictable and on the nose however the song gets better as it progresses. I am a little confused by this songs inclusion on the album. I feel like I have heard this song a thousand times on mainstream radio (there’s something 2000’s Green Day about parts of it). There are aspects of this song which work, if any this is that must skip track on the album, however I can understand that others will like this for the same reasons I don’t love it. 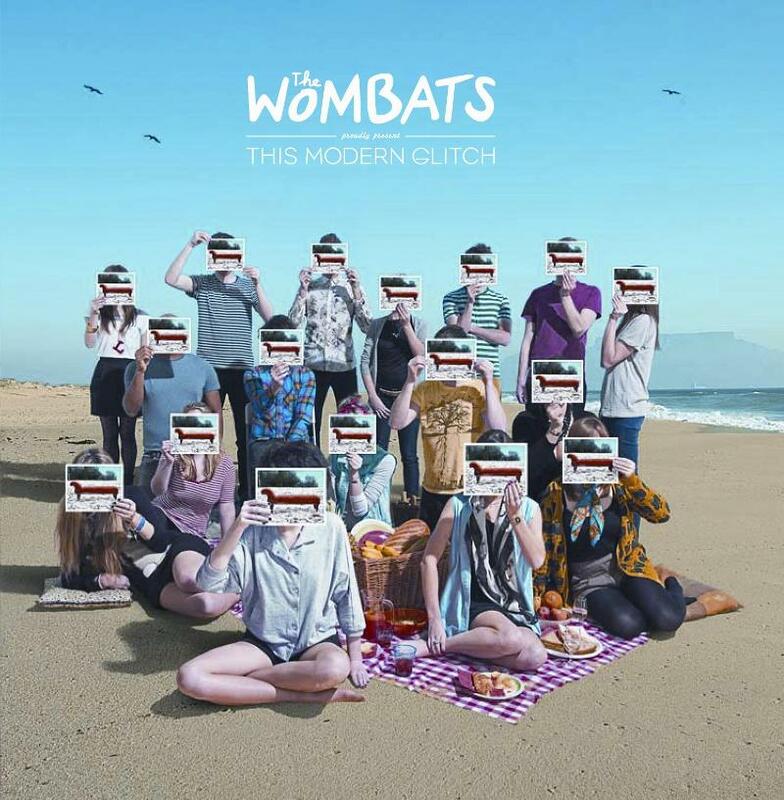 The chorus is really quite enjoyable and fun, just needed to trim the crusts off the sandwich for me I guess. To this point, I think that that the vocal and the bands sound really carries the song writing at times and is a little bit of a surprise given what I was expecting. It’s like ordering the Peking Duck Pancakes at yum cha and then you bite into it and get a mouthful of cucumber and wrap, just not quite what you were hoping for. “April Fool” immediately pulls the album back in the right direction with a bang of Orchestra anger which is a really catchy and fun song with a big chorus. The vocal takes over what is otherwise a pretty simple song and turns it into a powerhouse. It’s often said that less is more, well this songs agrees with this statement and contradicts it in the same breath with a super-sized serving of Hull’s tonsils. This song could easily slot right into “Mean Everything to Nothing” and is the tightest song on the album as it is very direct in what it is attempting to achieve and does it in bag fulls (yes that sentence doesn’t make sense, but I don’t care). “Pale Black Eye” is a throw back track in terms of vocal sound from the past. Violins are a lot more prevalent on this album and combined with the guitar work on this song builds into ball of emotion with builds to a stadium rock chorus. This song is no “Shout it Out”, it is just so different from what they have done previously, it’s more matured and constructed with millimetre precision, where as previously it felt like the songs were written to fit around the vocal and not the other way around. Either way the songs work, but it’s nice to see a talented band explore with their song writing and find new ways to reinvent their brand without having a producer rebrand the sound. The guitar work is delicate and deliberate allowing the song to build and the vocal to flow. The chorus effect which is used through “Virgin” has a big sound which with the horns that give this track a familiar feel. The use of children for backing is something that hasn’t been used for many years now and combined with the heavy guitar sound which runs through the track makes for a dark and angry piece of work. This takes me back to Pink Floyd’s “We Don’t Need No Education”. The lead vocal is normally the core feature of Orchestra songs however this song really breaks that tradition and gives great contrast with the various vocals used. By this stage we are right into the meat of the album and the edges may be a little fatty but I am pretty sure this is a rib eye fillet. “Simple Math” was released as the lead single from this album and displays a different approach from MEtN. This is a really elegant song built on the back of a more main-stream sound with a smoother vocal from Andy Hull and an injection of violins through the chorus. The mood of the track is not as intense as on previous releases however it is still not lacking in emotion which builds with the power of the guitars through the song. Despite being a change in direction for Manchester this is evidence to a mature approach to song writing and is a real power ballad in the Orchestra sense of the word. It has taken quite a few listens, but this is a really powerful track which pulls you in a lot of different directions. “Leave It Alone” delivers that gentle Orchestra beat with more and more voilins being used, which is not over used as it really suits the bands sound. This song really sells the modesty of the sound that these boys from Georgia can deliver, which gives a sense of intimacy that other bands could only hope to deliver. 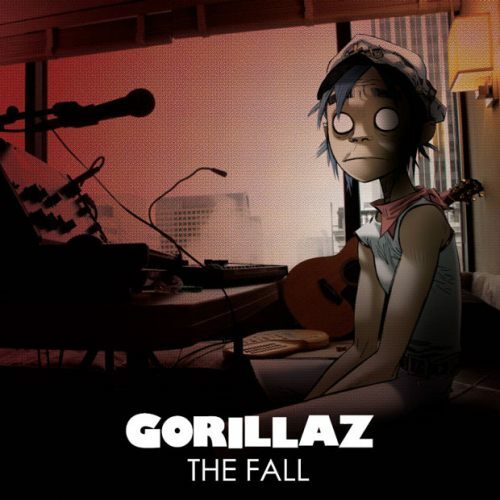 “Leaky Breaks” is a great closing song in a similar vein that “505” was for the Monkeys as it leaves you wanting more and floats off into the background. This is probably the biggest screwball thrown by the Orchestra’s pitching rotation. With a smooth vocal Hull, takes us on a journey and leaves us with some soothing “oohs” to end the album. The review took me some time to write because initially I started out writing a “meh” review as the album took some getting used to. The big punch that “Mean Everything to Nothing” seemed to be missing and there was a lack of flow between the songs especially at the start of the album. There is a distinct attempt to stretch the sound of the band and to explore its possibilities, there are some softer tracks which really are great on their own, but feel a little out of place next to some of their colleagues at times despite being great songs on their own. It is a genuinely good album without requiring any coat tails of previous albums to keep it aloft. 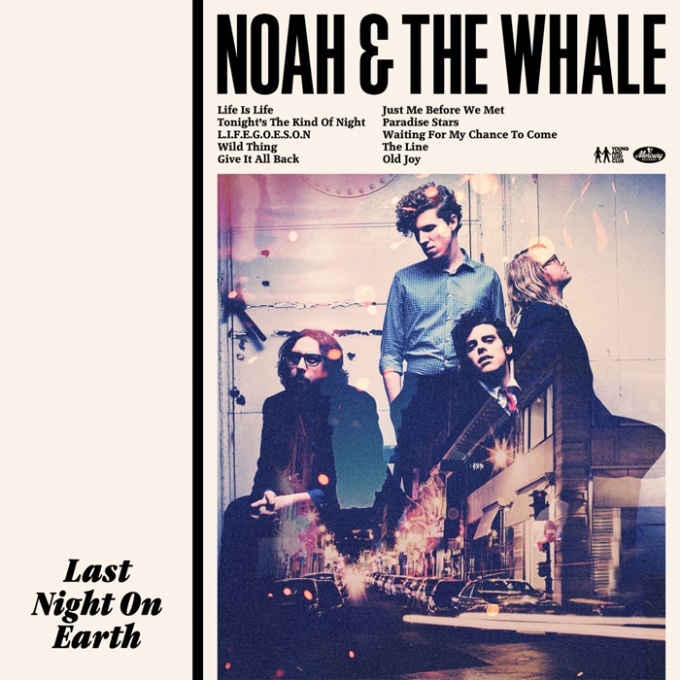 I will kick off with a confession that I have not listened to Noah and the Whale in the past, however with all of the fuss that I have heard about this album, I kinda felt that with little else to review at the moment that they probably deserve a run. I totally understand what the band was trying to achieve when they wrote “Life is Life” and they have almost achieved it with probably the best song that I listened to. This song is driven by the vocal which is well constructed without being mind blowing. Following this is “Tonight’s the Kind of Night” which should not be listened to by anyone with a dairy allergy (waiting, waiting, yes a cheap joke is coming you know it)…..cause this song has every type of cheese forced into it. It’s like a giant block of swiss with people standing around it holding in all of the other cheeses (I don’t care if this is a word, cause it is now) in but its so cheesy that it’s about to errupt in a cheese explosion. Yes this song will probably be popular with the current generation of kids, well I ain’t one of them. This song is just horrible in every sense and if you can’t see that for yourself than you need to get yourself some ear glasses (bad jokes are really flowing right now). “L.I.F.E.G.O.E.S.O.N.” achieves everything that the group failed on with that other thing I just had to listen to. It is still borderline cheesy however the song is fun and light, but is well enough written that it doesn’t quite have permanent residence in Gouda Country. “Wild Thing” is ok in parts but feels like a hundred other soft rock songs that I have heard before that I feel like its wasting my time. This is an album which I have difficulty getting past the first few songs as the vocal is a little whiny and girly. I fight myself and try and make myself overcome my issues with it, but it’s just not happening for me. I am cutting the review short on this one, cause I found that vocal so bland, uninteresting and constantly got on my nerves. There is not enough musical content for me to get past it as everything about this album is so predictable and although there are some ok/tollerable songs here, I really didn’t enjoy this album. There is simply nothing indentifiably unique about their sound that would draw me to listen to their music, everything seems to revolve around the vocal which I can’t stand. Next! “Nine Types of Light” is the fifth album by a truly talented band, who recently lost long-term multi-instrumental member Gerard Smith. If you haven’t heard of TVOTR by now then it’s probably time to reassess what you use as your sources for finding new music. The album ironically opens with “Second Song” because it doesn’t come second chronologically or in terms of quality. TVOTR haven’t mucked around here, they have moved straight into a multi-layered, multi-faceted song which have a bit of everything on it, synth, sax, effective backing “oohs” which all contribute to produce a killer song without ever over powering the sound. “Keep your Heart” is yet another beautiful TVOTR track which continues the theme of using whatever instrument required to get the sound just right, clapping, more backing oohs or electronically produced sounds. There is no drastic changes to the classic TVOTR sound on this album and it is used to full effect on “No Future Shock”. The song builds elegantly to a climatic chorus (get your mind out of the gutter) and using the horns to great effect. “Killer Crane” slows the pace of the album right down with a wandering vocal which grows and has too many elements that I can’t begin to describe it without disrespecting the song. Just when you think that you have heard the best of what TVOTR have to offer they drop “Will Do” in your lap with all of its balanced beauty and power. If you don’t like this song then you should consider getting your hearing checked or consider major oral replacement surgery, no its by no means excessive. “New Cannonball Run” pulls the album in a more electro direction with a heavy synth sound, which provides a platform for a vocal exchange (duet sounds insulting) which is full of toe-tapping energy that flows into “Repetition” which I must say is really poorly named. You can call TVOTR a lot of things but not that. Ok so maybe he does repeat the word around 25 times towards the end of the song, but it works. Listening to a TVOTR album, much like writing a review of one, requires a lot of dedicate. On both accounts I feel that the input required is well rewarded. At first listen I am constantly trying to understand the concept of their songs, but it doesn’t take long before the album and its endless energy take over your musical world. The song writing is meticulous and controlled to the point that every song feels inviting and effortless in execution. The guitars often feel secondary in the layering of the songs however they repeatedly deliver punch and timely energy. Stepping out of your capsule, you survey an unexplored wilderness, fresh with opportunity and danger. The natives are restless, the natural environment astonishing, and the onset of darkness urgent. Everything is set for a great adventure. Except that, well… it isn’t. Midnight Juggernauts have previously sent us hurtling out to the unknown edges of space, and with this album they bring us down on a new planetary frontier. Mixing the primitive with the futuristic, The Crystal Axis combines pulsing electric currents and vast harmonic grids with raw aboriginal beats and organic sounds. Flashes of artificial arpeggios blast out and ricochet through a dark jungle of rustling rhythms and savage drumbeats. All the while exotic riffs chitter in the undergrowth, and synthetic cicadas saw into the night. Elsewhere; wafting, wavering chords explore the electronic echoes of great subterranean depths. Midnight Juggernauts have really outdone themselves in creating a virtual biomass within this album’s soundscape. While there are a few places where they return to the vaster and more open style of their previous album, for the most part this album is a dense, claustrophobic affair. But for all the technical brilliance in creating and bringing these sounds together, none of it really speaks to me. No more than listening to the sounds of a real jungle would. And that’s the problem here. It may sound paradoxical, but this incredible hive of sounds is simply too intangible. It’s full of wonderful imagery; yet it’s impossible to find anything within it to latch onto. I can’t find the story, the human element, amongst the mass of noise. So in the end as far as my ears are concerned it’s all just a bit of aural wankerey. I applaud the effort, but not so much the result. OK so yeah this was released over a year ago, but I kinda missed this one even though I was familiar with many of the tracks through the radio. Two Door Cinema Club bring a big electro/rock pop sound that has drawn a lot of comparisons since their debut album with their primary tool of choice being lots of energy. The album opens with a very Bloc Party inspired twaggy intro that develops further into “Cigarettes in the Theatre” with enough punch to leave you with a nice shinner. The drumming beat is quite simple but it ensures that the song never lets up and provides the base which allows for contrasting tempo as the song develops. The vocal which doesn’t stray too much through the album, is quite boyish or feminine and is not off-putting and reminds me of Phoenix lead singer Thomas Mars. For a band who have only one album to their credit they immediately follow-up with another big pop song “Come Back Home” which is very easy to identify with as it is loaded with more pop beats and flowing vocals. At first listen you might be tempted to think that a young band is trying to make a name for themselves with a couple of singles on a front loaded album but this never develops. “Do You Want It All” has skip me written across its face with a very predictable sound and feel, however it provides a change in tempo for what is a very up tempo album. Don’t be fooled though cause this song changes pace and is bouncing off the walls before you know it. With the introduction of “This is the Life” quickly following I find myself pushing this album away, however this song sits on the border of Cheese Town.Depending on my mood decides whether I consider it to be an inhabitant or not. This is quickly forgotten though. “Something Good can Work” follows and is such a fun, drag your woman to the dance floor tune that is over almost by the time you get there, but that is ok because you can just stay there for “I Can Talk” and work on your robot dancing and watch her return to her seat as you bounce around like a tool. This song shows of the guitar driven side of the band which to me is the strength of the band who fall back on electro sounds to fill in the gaps. By the time “Undercover Martyn” reaches your ears, you think that you have seen all that TDCC have to offer, but these guys have energy in their sound. The sound is a little one dimensional, but having said that, it works. “What you Know” proves this by providing a platform for Trimble’s gentle vocal which is a perfect fit for the general sound of the band, which is light and fluffy. The song rolls and gains momentum until it reaches the point where it is firmly stuck in your head. The back-end of the album continues with much of the same rush that the remainder of the album just left with. This could easily be cut back in order to make the album tighter, given their sound they shouldn’t be trying to put out double albums, more love me and leave me nine track numbers. There are some borderline forgettable songs here, I am looking at you “Kids” while they aren’t horrible they just don’t add to the album. “I Can Talk” has to be one of the catchiest and fun songs of 2010. This has to be pretty close to what musical heroin must be like, as the song ebbs and flows it ends but holding you in its arms and then dropping you onto the dance floor. Having said this, it is hard to decide by the end which song is your favourite as there are quite a few strong tracks here to the point that I always worry about young bands and whether they should hold on to one or two to ensure they don’t become one hit wonders. This is a really enjoyable album which could liven up a funeral, however every time I listen to it I worry what their second album will be. 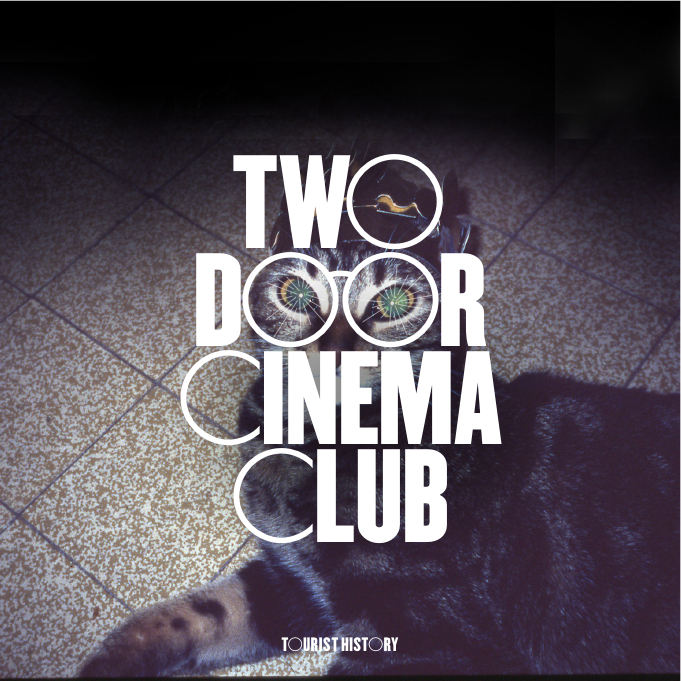 TDCC could easily get into bed with the wrong producer and cut back on the guitars which I have seen all too often to the detriment of bands.